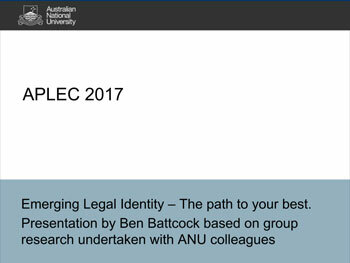 Presentation by Ben Battcock based on group research undertaken with ANU colleagues. 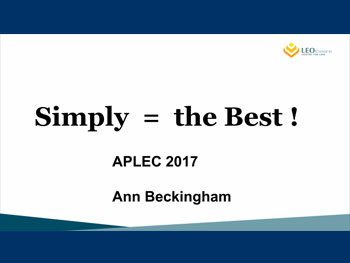 Presentation by Ann Beckingham, Leo Cussen Centre for Law, Melbourne. 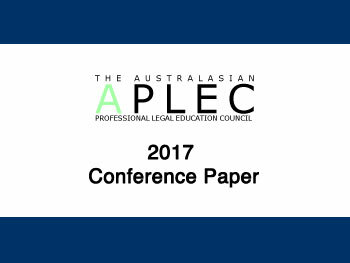 Paper by J. Burke, School of Law, City University of Hong Kong & H. Zillman, Faculty of Law, Bond University, Australia. Presentation by Professor Stephen Dinham, The University of Melbourne, Australia. 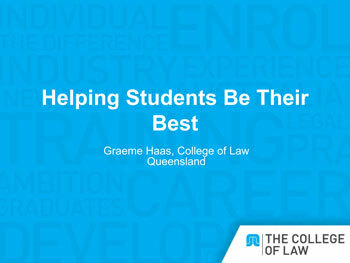 Presentation by Graeme Haas, College of Law, Brisbane.